Guy Beahm popularly known as Dr DisRespect on the internet is an American Twitch.tv stream and internet personality. Beahm is most famous for playing battle royale video games. Some of them are H1Z1, PlayerUnknown's Battlegrounds, and Fortnite. His popularity has grown incredibly over the internet. He has earned more than 2.5 million followers on the platform. Beahm is not characterized as a professional gamer. Rather he is regarded as an entertainer in the streaming industry. ESPN described Beahm as "a WWE character in the competitive gaming world". Beahm is also nicknamed as Doc, 2xChampion by his followers. His gaming abilities in video games like H1Z1 and PlayerUnknown's Battlegrounds. 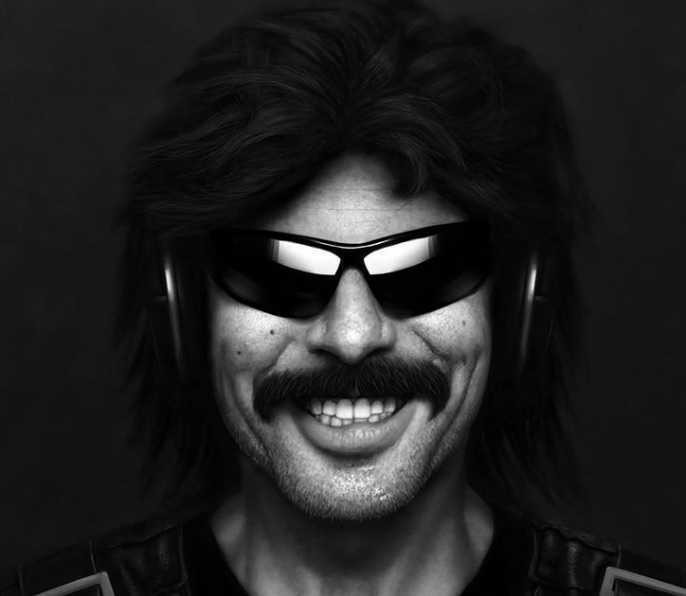 His Dr DisRespect character, where he wears a mullet wig, sunglasses, and has a mustache. 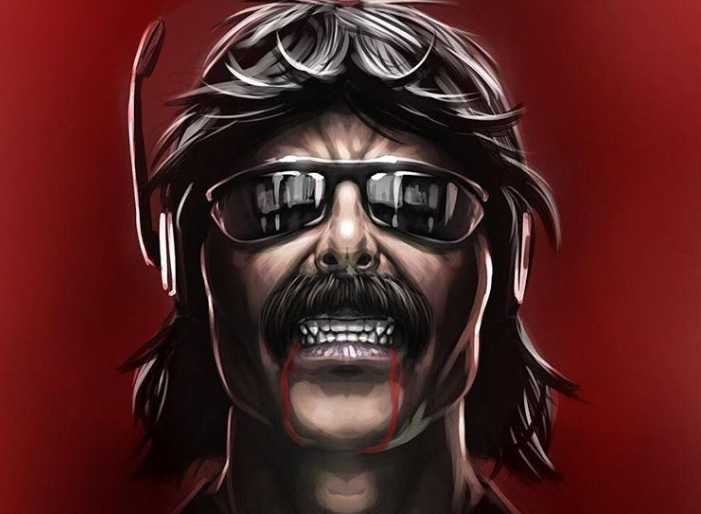 Popular Dr Disrespect stopped his Twitch broadcast saying his house was shot twice by an unknown persona. The news spread very quickly over the internet when the shooting took place during Beahm's live stream. A deputy was dispatched to investigate the incident. But, more details on the incident has not been published. Dr DisRespect later announced on Twitter that no one in his family was hurt from shooting. And stream will resume on the following day according to the schedule. He also appreciates everyone's concern and well wishes. Beahm was born on March 10, 1982, in Encinitas, California, United States. He belongs to American nationality. Beahm graduated from California State Polytechnic University, Pomona. He used to play Division II NCAA basketball there. Beahm's Dr DisRespect character originated when he started playing Halo 2 on the Xbox. This game had proximity voice chat feature, where players could communicate with each other in real time. Beahm was fairly good at the game. He could back up the talk. This made him more genuine. Through the game, it created an opportunity for Beahm to showcase a "dominant character". Since, January 5, 2010, Beahm and his roommates started posting their content on Youtube. His first video showing gameplay of Call of Duty: Modern Warfare 3 was posted on YouTube on January 11. Following the success in gaining popularity over internet gaming, Beahm was featured in multiple videos for the gaming channel Machinima. He mostly played Call of duty. Beahm did not release any content on Youtube from late 2011 for nearly five years. Beahm was appointed as the community manager of Sledgehammer Games on March 16, 2011. Later, he was promoted to level designer. Beahm helped them to create many of the multiplayer maps for Call of Duty: Advanced Warfare. Beahm Joined Justin.tv before leaving Sledgehammer in 2015. He intended to focus on full-time streaming. Beahm started playing battle royale games. He started with H1Z1 and began to earn followers. He then switched to another battle royale game, PlayerUnknown's Battlegrounds. He has been called "a hyper-caricature of how the stereotypical male game views himself". Beahm took a two-month break from streaming in December 2017. He desired to solve his relationship disputes with his wife. He even admitted cheating on his wife. On February 5, 2018, Beahm returned with a total peak of 388,000 concurrent viewers. Dr DisRespect keeps his personal life very private. He keeps his personal life out of the spotlight. Beahm is married, but the name of his wife is still secret to the public. His wife has accompanied him to the 2017 eSports Industry Awards and appears occasionally on his social media posts., but her identity is still unknown. Beahm earns mostly from his Youtube channel. Besides Youtube, he also earns from Twitch account, endorsements, and other merchandises. At present, Beahm's net worth is estimated to be around $500,000. Beahm won Esports Industry Awards for Streamer of the Year category in 2017. Beahm was also awarded The Game Awards for Trending Gamer in 2017.